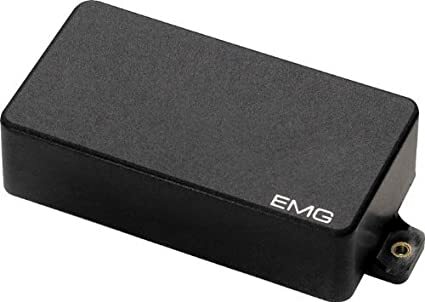 Many experts and guitar aficionados agree that as far as the importance of six-string parts goes, pickups are perhaps the most crucial aspect of any electric guitar. Sure, build quality has to be on certain level, and wood quality is a nice touch as well, but it is the pickups that count the most in forging the final sonic attack. Therefore, we would like to dedicate an article to the importance of these lovely little things and explain to you folks the primary types of guitar pickups. We singled out a few models essentially divided into two categories, make sure to check ’em out below. Every pickup out there operates by electromagnetically converting vibrations of the instrument’s strings to an electric signal. They feature a single coil of wire wrapped up several thousand times around a coil former or a bobbin. Introduced in 1955 by Gibson, humbucker pickups started utilizing two coils of wire to reduce the fuzz and buzz produced by single coil models. The addition of a second coil increased the power of the device and essentially revolutionized the industry. A variety of humbucker types exists on the market, including stacked humbuckers, rail humbuckers, coil splits, and more. Passive pickups rely solely on the coils inside them to transpose the vibrations of your strings into a grooving sound on that amp. Therefore, they pack a lot more coils. This makes them more expressive and sensitive to direct changes in the player’s playing style, but also less powerful than active models. Active pickups rely on more things than one on producing the sound. They do have coils, although much less than passive models, but they also have full-on electronics that makes the signal gathered by those coils much stronger. Active pickups offer more power than passive ones, but are more difficult to control and create a dynamic groove. Which one is better: Active or passive pickups? Well, the answer would be – none. Actually, the answer would be – it depends on your personal taste and preferences. Do you prefer more power or a more organic and natural sound? Do you prefer a rock solid groove or a sound that feels every single change in movement and performance of your hands? If you’re leaning towards the first side in both questions, go active. If you’re leaning towards side two, passive is the way to go. We are hoping that this article gave you the basic idea of how these gizmos operate and which type of sound they offer. We hope that now that you have that image, you know which type of pickups suits you best and which one to purchase. Of course, there is a variety of manufacturers to choose from and a lot of nuances to filter through, so buckle up and start picking!